Wait! There’s something much more important than hotels and underwear: My mobile phone doesn’t work in Europe! I had no idea what was involved in using my precious device overseas. So I asked around. The options were numerous and none of them simple. Rent a mobile phone for 2 bucks a day; buy a SIM card for 30 bucks and install it on your phone; temporarily add international calling to your service plan. After reading that thousand-page Italy guidebook, this put me over the edge. My conundrum was not uncommon. It’s America’s favorite travel destination yet Americans travel to Italy every year with the same question: How do I make my phone work there? But where did this conflicting protocol nightmare come from? Let’s take a look. In the U.S., wireless technology was developed separately from the rest of the world. While Americans were using a cellular technology called CDMA, the rest of the world was using GSM (“Global Systems for Mobiles”). This created a sea of troubles for the American traveler. For a long time, U.S. tourists had to rent a GSM phone. It was inconvenient and expensive, but the only option if you wanted to use a mobile phone in Europe — and that’s a far cry from free international calls. You couldn’t use your U.S. number, you had to pick up and return the rental phone and both the rental and the phone calls were cost-prohibitive, to say the least. Then I remembered I’m a Voxox user, and Voxox is great for free international calls! Check it out: All you need is a free phone number from Voxox. When activated, use your Voxox phone number to talk with any one in-network for free, no matter where in the world they are. With Voxox, no commitment and no credit card — or SIM card — are needed. You can make unlimited, free international phone calls, send free text messages and photos, and here’s the best part: You can set it up yourself! Just download the free app, chose a phone number and you’re ready to go. Your contacts are instantly imported and everyone who’s already using Voxox is flagged with a logo. Calls made with Voxox are connected via the Internet using a technology called Voice over IP, or VoIP. Since they’re not routed over cell lines, you don’t incur any cellular charges. And since the calls are made over the Internet, you have worldwide connectivity. With my Italy trip just a few weeks away, I’m excited to have the cell phone dilemma solved with Voxox. 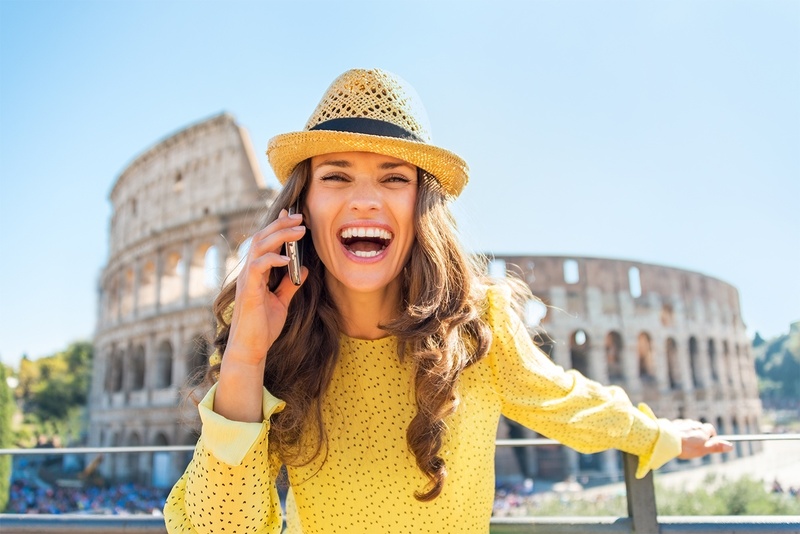 Even if you’re not planning an Italian vacation, Voxox still gives you unlimited free calling. Find out more about making free international calls here. Now, which blue jeans should I pack?